In the European Union 34.8 million women aged 15 to 64 are reported to have ever tried an illicit drug, compared with 54.3 million men. 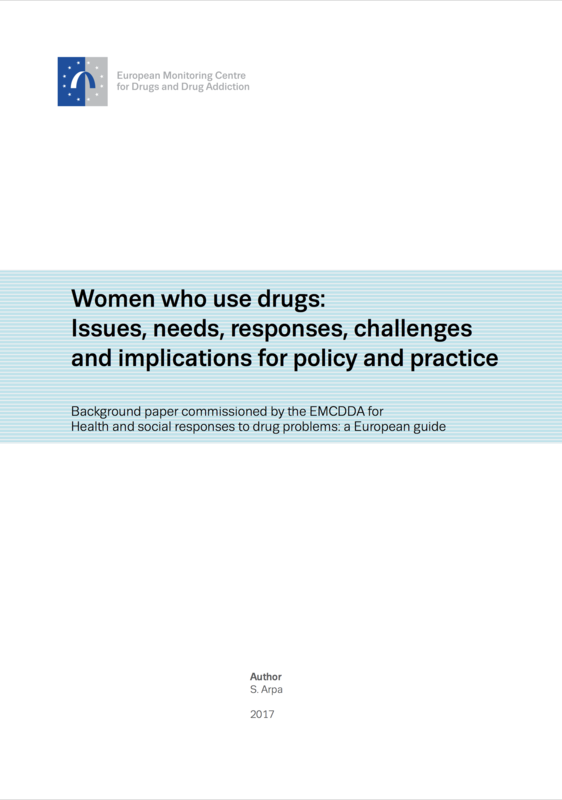 Women who use drugs face a number of issues that vary in extent and nature compared with those experienced by their male counterparts. They have greater experiences of stigma, shame and discriminatory responses; have less social support; are more influenced in issues relating to drug use and recovery by their parental role and through their partners; and are at a greater risk of exposure to violence and blood-borne infections. In general, responses for women should be gender responsive, incorporating women’s needs in all aspects of their design and delivery; be delivered in environments that are welcoming, non-judgemental, supporting and physically and emotionally safe; be holistic and comprehensive; promote healthy connections to children, family members, significant others and the community; and address socioeconomic conditions. There are also subgroups of women with additional issues and needs that need to be considered. This background paper was produced under contract CT.17.SDI.0003.1.0 and we are grateful for the valuable contribution of the author. The paper has been cited within Health and social responses to drug problems and is also being made available online for those who would like further information on the topic. However, the views, interpretations and conclusions set out in this publication are those of the author and are not necessarily those of the EMCDDA or its partners, any EU Member State or any agency or institution of the European Union.